Also remember in your prayers all the departed who once walked among us. Our Council meeting is at St. Cyril, the first Thursday of the month will be after the 7:00 PM Mass, we will lead the Rosary before Mass, at 6:30 try to arrive in time to help lead the Rosary and stay for Mass. Last Thursday of each month Officers Meeting. The month of March starts with our first fundraiser, the Reverse Raffle on Saturday 03/02/2019 and the challenge is to make it a successful event. The efforts of our membership is paramount to making this happen , I am asking each member to sell at least 12 tickets to this event or at least purchase tickets and come enjoy a fun evening with a chance to win the big prize of $6000.00 or less based on the sale of 500 tickets. In addition, the evening will provide a tasteful dinner for only $25.00 now that is quite an opportunity. 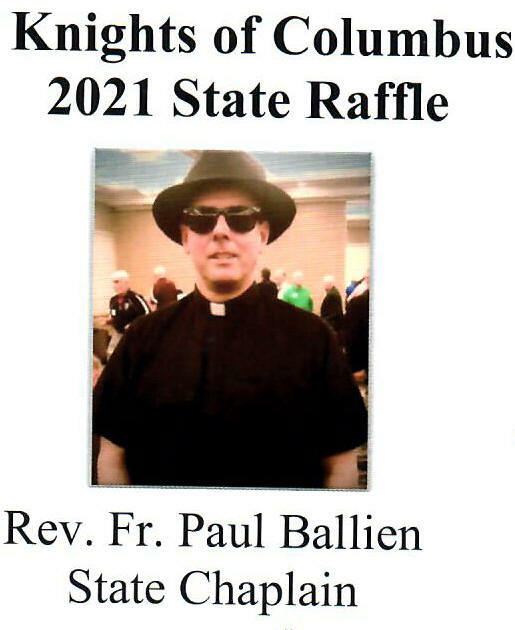 On Friday 03/08/2019 we start the Fish Fry’s and a week from that event we have the St Patrick Dinner on Saturday 03/16/2019 at St Rene Goupil Church. Corn Beef and Cabbage Potatoes and Carrots for only $15.00 now that's quite the value, and finally ending up on Saturday 03/30/2019 with feeding the homeless. March is quite the busy time for our council, but with the participation of all our members it can be a walk in the park. on the other hand, quite the task. Therefore, I am asking our membership to be involved, be active and help make a difference, because your involvement is paramount to our success. Now is a good time to plan for the new Council Year. Nominations for Officers will be in May. Then election of Officer’s is in June. The Councils New year is July. We will have several openings to fill for the 2019 -2020 year. Here is a short list of Director, Chairman, or Co-Chairman spots. Trustee (3 year) Deputy Grand Knight, Program Director, Community Activities, Council Activities, Family Activities, Publicity Chairman. Please contact me for more information on these or any help that interest you. Please remember that we have other charitable events that you could join. We aren’t looking for all your time. We are asking for a little bit of your busy schedule. Any help can result in great benefits to those in greater need. Also, please remember that we are here to help our fellow Knights and their wives and family. Please feel free to contact me with your ideas and interest for a better Council. Coming up here in April, we embark on our MI Drive where we raise money for the Intellectual Challenged through the sale of tootsie rolls as we have done for the last 41 years, this fundraiser will start on the weekend of April 6th & 7th at Ss Cyril & Methodius Church on the weekend before Palm Sunday and on Palm Sunday weekend April 13th & 14th at St Rene Goupil Church. Help will be needed for these events, so please step forward and help us make this a successful fundraiser, the Intellectual Challenged is relying on us, so let us not let them down. WHAT A GREAT TIME TO BE CATHOLIC! WHAT A GREAT TIME TO BE PRO-LIFE! 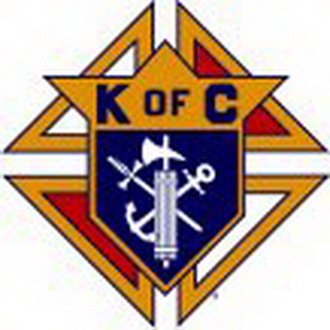 As you know The Knights of Columbus have been Pro-Life from their inception. Our local council will be involved in raising funds to provide operating and other expenses for Gianna House, a Pregnancy Center in Eastpointe. Gianna House houses teens 17 and under and their infants, plus serves as a Pregnan-cy Center for adult women. On February 25, 2019 we will be assembling in Rooms 117-119 from 7-9PM 350 baby bottles for distribution on March 2-3, 2019. We need from 15-20 volunteers, including wives and Squires, to assist us in this big and vital as-sembly project. On March 2-3, 2019 we will be distributing, at the weekend Masses, a total of 350 baby bottles in connection with this Project and we need your help and that of your wives and the Squires in this massive distribution project. On April 13-14, 2019 –Palm Sunday weekend -we will be collecting the bottle returns at the weekend Masses, and we need your help, especially men since these bottles filled with change can be heavy, and that of your wives and the Squires in this massive collection project. To distribute bottles after Mass. Sunday March 3, 2019 -7:30AM Mass (need at least 4 people - 9:30AM Mass (need at least 6 people) - 11:30AM Slovak Mass (need at least 2 people) - 1:30PM Mass (need at least 4 people) - 6:00PM Mass- (need at least 2 people.) - 8:30PM Mass (need at least 6 people). Note- depending on interest by the Congregation at the early Masses we may run out of bottles to distribute at the later Masses. To collect bottles before Mass. We very much appreciate your participation in this Project. Any assistance- dates and times- you can provide or questions please email Ken Pullis at kpullis@gmail.com or call 586-939-8525. I would like to start my article with a heartfelt thank you for everyone's prayers for my father's illness and passing. Thank you to everyone who paid a visit at the funeral home or participated in casket watch at the fu-neral home or at the funeral Mass. It was a great send off! Thank you! paid their lawful dues. The next step in the process is a Knight Alert. After the Knight Alert, an Intent to Suspend notice is sent, and at that point, the Brother has 60 days to get his dues paid or he is out of the Order. While it is typically the Retention Committee's job to reach out to delin-quent members, I will ask the newsletter editor to publish the names of the brothers who are in danger of suspension. While that might seem like a cruel tactic, it is a useful method of retention. Online records are only as current as the last time someone called in or mailed in an update. Perhaps a member knows of another member whose situation has changed but has not been communicated to the Council, so he has missed his dues notices. (I found out a brother had died, but no one told the Council). The tactic helps to ensure that we are giving every member a chance to either pay their dues or let us know he needs some help. If you have NOT paid your lawful dues yet, please contact me at 586-489-9272 or at FS7011@mikofc.org. All situations are kept in strictest confidence. As a new convenience. the Council accepts all major credit cards at no extra cost to you. Do you have your Reverse Raffle tickets yet? If so, GREAT! If not, WHY NOT? It is a fun event with plenty of food, drink, and opportunities for extra prizes! There are cash giveaways, bingos, second (and third and fourth) chances, and perhaps another game or two I am thinking of add-ing. It is a night of fun for everybody. Bring some money or your credit card for the side games! It is even more fun when you bring friends and make a night out of it! If you need tickets you can purchase them in the parish office or at the door. I am also looking for Brother Knights to help with some of the duties of the night. The core group of people are set, but we could use a few more. If you want, bring your wife or lady friend and tag -team a job. Many hands make light work, and I never turn help away. If you have a Squire or a high-school-aged child or grandchild looking for service hours, they can earn some by working the event. I will sign their form... My sons earn all of their service hours by helping out a Knights' events. That is it for now. If you have any questions or need anything, please do not hesitate to let me know. I am here to help. 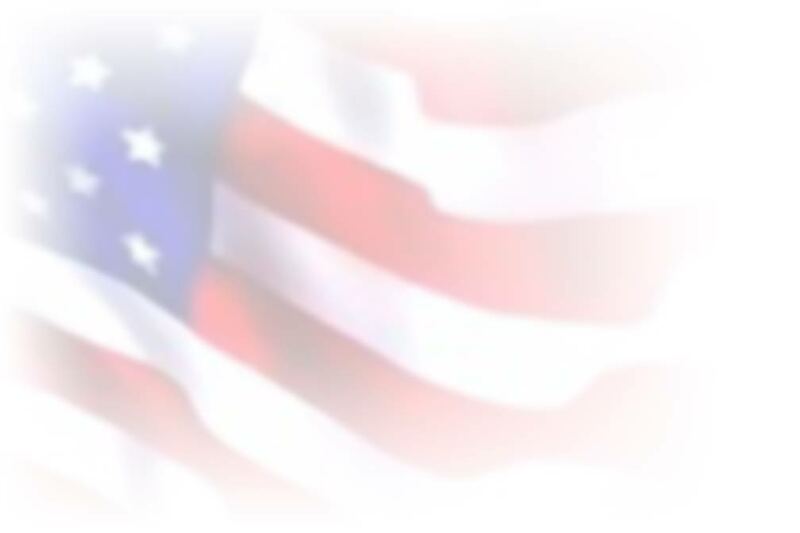 April 15 - tax day - is right around the corner. It’s become popular this time of year to encourage the opening of an IRA or similar retirement annuity, or the depositing of additional funds into an existing account, as a tax savings vehicle. A secondary approach is to tout the rate of interest that money in one of these accounts can earn. Let me join the chorus of folks encouraging you to open or add funds to an annuity, but for a different reason. Certainly, contributing money to a Knights of Columbus annuity will allow you to save some money on your income tax return. And our annuities do pay a very competitive interest rate, consistent with our primary goal of absolute safety of principal. Opening or adding to an annuity for these reasons, however, strikes me as taking a short-term view of a product that is designed to provide long-term security. How much security? How does a retirement income that you cannot outlive - guaranteed – sound to you? Here at the Knights of Columbus, you can open a retirement annuity for as little as $300. Consistent and disciplined savings placed into that annuity over time can guarantee you an income at retirement that you cannot outlive. That guarantee – along with the fact that no one has ever lost money left in a Knights of Columbus annuity (remember – absolute safety of principal), really will provide you with peace of mind. I am happy to meet with you – at your convenience and in your home – to explain in detail the benefits of opening a Knights of Columbus annuity, along with the benefits of our top-rated life insurance and long term care insurance plans. As you ponder all the things that may not work out as you proceed toward retirement, think about one thing you can do to help yourself – opening a Knights of Columbus annuity. It’s reasonably priced ($300 to start), guaranteed, and con-trolled by someone you trust – you! *Receive a complete Family Needs Analysis at my expense. MY DAUGHTER RACHEL'S STORY ----- ABORTION IS NOT A CHOICE! I have sat quietly and watched as the late term abortion laws come into effect in New York and are being proposed in other states. I have heard the stories and seen the photos, some which are so sad they make me physically ill. The stories of moms who were at risk of their own health if they did not abort their own unborn child! Heart wrenching yes but are they truth?? In 2016 I was blessed to carry a baby that was VERY much wanted and who we had spent years trying to conceive. I was so excited; the nursery was practically done by the end of my first trimester. We decided to haven early blood test performed to find out the gender of our little one so that I could continue preparing everything before this amazing blessing came into our lives. At 15 weeks, we found out that we were expecting a little girl, however we also received the most earth-shattering news that she was also likely to have Turner syndrome. I cried for two days straight. I can attest to the fact that my husband is the strongest man I know as he held me as I “scream cried”. After the initial shock of finding that my little one was not going to be “perfect” in every way, I researched everything I could get my hands on. I had scheduled appointments with my doctor at least twice a week I searched the internet looking for any success stories that I could find. I found a few, we needed some kind of hope. At 20 weeks after an echocardiogram and an ultrasound of the baby we found that she not only she had fetal hydrops and a hygroma but that she also had missing chambers of her heart and if she was born alive that she would need heart surgery immediately. The hospital doctor that came in changed the game. He suggested that we terminate the pregnancy as my baby’s chances were minimal. Oh… that means abortion, right? We sat there as he explained how the “termination” was done and he wrapped up his visit saying “best of luck to you the next time, at least you know you can get pregnant”. All our hope was crushed, but not lost. We leaned on our amazing obstetrician office doctors and nurses They were encouraging us to continue with the pregnancy and they all loved our twice a week visits with baby Jolie. Yes, they called her by her name!! Another couple of weeks went by and a new concern arose. There was a chance that I could develop “mirror syndrome”, that I could develop extreme preeclampsia and be at risk for a heart attack. I was checked by the doctor every other day and I had to monitor my blood pressure every day at home. We also knew that inducing labor instead of an abortion was an option if it came to a point of life and death for me. All I knew for certain was God was making the choices NOT ME. Taking Jolie’s life was never my decision to make. We embraced this little girl’s every single day, she got more belly rubs and prayers than you can imagine! We were told that Turner syndrome babies generally do not make it past the first trimester. But Jolie made it through further in my pregnancy than any doctor had predicted. This was even more of the fire that I needed, there is a reason Jolie made it so far. Maybe she was meant to be born alive and change lives? Maybe she was going to pass from this life and still change lives? She changed my life and the lives of my family along with the lives of countless friends. At 25 weeks her heart gave up. I delivered Jolie peacefully, I held her, I cried for her, I loved her. We put her to rest with a funeral service and buried her in the children’s section of the cemetery. We bring her flowers. As she looks down on us from Heaven I the read her the “Blueberry Girl” book as I did with my first two girls. I promise you she was very much alive. I felt her move and felt kicks. I could see her growing with every ultrasound. I HELD HER body after she was delivered. Human life deserves protection and dignity. So, in closing - New York and any other state that is proposing abortion up until delivery, you have no idea how wrong you are. What you have legislated is purely and simply murder. Jolie and I were your “medical reasons” for late term abortion and NO your argument does not stand up. This past September I delivered a healthy baby boy at 8 pounds 4 ounces at just over 39 weeks. I cannot even fathom that New York law would allow the murder of a baby as the same gestation age as our new born son! How did this happen in our country? I pray for our nation and I pray that this insanity comes to an end.